As the school year winds down and testing comes to an end, we all feel pretty worn out. Sometimes we just want to learn about something new and exciting. Below are ten emerging technologies that are super cool and interesting. You can use these as research topics, for a bell ringer activity, or for a class exit ticket activity. Some of these make me feel like the world is becoming more and more like Star Trek. 1. The Drinkable Book - The first-ever manual that gives safe water tips and serves as a tool to kill deadly waterborne diseases by providing the reader with an opportunity to create clean, drinkable water from each page. 2. V2V (Vehicle to Vehicle Communication) - This is exactly what it sounds like. Cars will warn their drivers of potential safety hazards from other vehicles. 4. Liquid Biopsy - Fast DNA sequencing machines are leading to simple blood tests for cancer. 5. Sense and Avoid Drones - Drones that fly themselves and are able to determine the best route and avoid obstacles. 6. Megascale Desalination - Making the world's ocean water drinkable. 7. Brain Organoids - A new method for growing brain cells that could potentially unlock the mysteries of dementia, mental illness and other neurological disorders. 8. Supercharged Photosynthesis - We have another 10-15 years before this is available. Advanced genetic tools could help increase crop yields and feed billions more people. 9. Internet of DNA - This will be available in one to two years and will be a global network of genomes. Your medical treatment could benefit from the experiences of millions of others. 10. Polaroid Zip - A futuristic take on the old classic Polaroid picture. This is literally a tiny printer that will connect to your mobile device and allow you to instantly print pictures. For even more cool emerging technologies, check out this presentation. The second semester is now underway and you may be looking for ways to integrate new activities and technology into your classroom. Check out the resources below for inspiration. 1. Voki- Voki allows users to make their very own Avatar that will then speak in their voice or a computer generated voice. This is a great way for students to show what they know in a fun way that they will enjoy. 2. Lino- Lino allows users to collaborate/have discussions in a virtual cork board format. This is a great resource for shy students that may be afraid to speak out in class. 3. Narrable- Allows students to narrate their own stories over images. Limited to 5 free Narrables per user. 4. Fotobabble- Users can narrate over a single image. 5. ToonDoo- Students can make their own digital comics. 6. Twitter- Post discussion questions. Students can post their responses with a searchable hash tag. Everyone's response can be viewed in the same place. Students can also post links to their digital projects on Twitter. 8. Google Classroom- Allows teachers to have a virtual component to their actual physical classroom. Students can turn in work, receive grades, and respond to discussions here. Teachers can use it for their class website, to post announcements, and assignments and more! 9. Instagrok- Great for research and class discussions. Creates a concept map for any topic that can be customized and shared. 10. Taxgedo- Turns any text into visually stunning word clouds. One of the most requested tech help requests from our teacher technology survey was knowing how to download videos from the web. I have made a 3 minute video that explains this process. This will work on your school desktop computers. Videos from some websites are not able to be downloaded but many are. YouTube should definitely work and is the example site used in this video. Please note that .mp4 files play with no problems using QuickTime Player and Real Player. If you use Windows Media Player, you may have to convert your file to another format. I have had a lot of success with this site for converting files. Please let me know if you need help or if you have any questions. Last week, we did an Eno board training for all of the PLCs. Even if you do not have an Eno board, many of these resources are great to use in all classrooms and can be adapted for most subject areas. Here are ten of my favorites. Some are Christmas related. 1. Jeopardy Labs- Jeopardy Labs allows user to create interactive Jeopardy games that can be saved and shared. Users can see correct responses and can add/take away points that will show on the screen. Up to 12 teams can play at the same time. This is a great tool for review and lets all of your students participate without having to pull out their cell phones. To see an example of an already created game, click here. 2. Newspaper map- Newspaper Map is so cool! Click on a country and automatically get their latest news of the day translated into English. This can be used for current events, journalism, research, foreign language, and more. 3. Time Glider - Time Glider allows users to create interactive timelines. Videos, audio, images, text, links, and more can be inserted into the timelines. This is a great way for students to showcase their research. This is also a great way for you to present your own lessons to students. 4. Braineos- Create flashcards, play games and challenge your friends! 5. Classroom Timers - Do you ever need to display a timer? Don't use a boring old regular timer! Use these creative classroom timers that include a snail race, a swim race, a rocket and more! 6. thinglink- Make images come alive by adding links and videos. This is another great way for students to showcase their research or for you to present information to students. 7. Super Teacher Tools- Create interactive games as well as make random groups and random name generators with this resource. You can search for games that others have made, play online or offline and easily share the games that you have created. 8. Interactive Christmas Word Search- Something fun if you need a time filler for the beginning or end of class. 9. Spot the Differences Christmas Game- Another fun Christmas related interactive time filler. Students create their own comics online. This can be used for presenting research, foreign language, creative writing and more! 1. The use of databases prepare our students for their future college and career experiences. When our students go to college, they will be required to use databases and E-content. Becoming comfortable with this type of resource now can only benefit them in the future. If they learn to use TexQuest now, they will be able to easily navigate TexShare, the database platform available at public universities and libraries. 2. TexQuest provides reliable resources and gives users the ability to search multiple formats easily. In today's digital world it is very easy to become overwhelmed by the multitude of search results that a search on a platform like Google can yield. TexQuest makes it easy to narrow subjects and to specify the type of resource that you are seeking. Oftentimes when students do an online search, they are unaware of the format of their response. A newspaper, reference book, journal, or magazine look like websites when viewed from a computer screen. TexQuest databases have multiple formats that make it easier for students to distinguish format types, dates, and reading levels. 3. Databases can help with classroom management. You will find it easier to monitor computer use because the choices will be focused. Students can stay within one or two databases and find dependable and appropriate resources. It will be easy for you to quickly glance and see if they are on task. 4. TexQuest databases provide resources for special needs. Most of the databases are easily adaptable to suit student needs. Users can sort results by reading or lexile levels. The size of the text can be enlarged for students with visual impairments and audio can be streamed or downloaded for students that have difficulty reading. TexQuest can also be used as a source for the research required of our Gifted and Talented Students. 5. TexQuest databases provide resources for ELL learners because articles can be instantly translated into multiple languages. 6. TexQuest databases provide information on sensitive topics. Have you ever done research with your students only to be stopped in your tracks because all the sites were blocked? TexQuest resources make it easy for students to search sensitive topics without having all of their searches blocked or finding information that is inappropriate. Topics like breast cancer, suicide, and any number of diseases that could produce blocked results can be searched with ease. You can also rest assured that the information will be school appropriate if they are using one of the student focused resources. 7. TexQuest resources are copyright safe. Articles, photos, audio files, and videos from the TexQuest databases are copyright compliant. They can be downloaded and/or embedded into your lessons and student projects. 8. 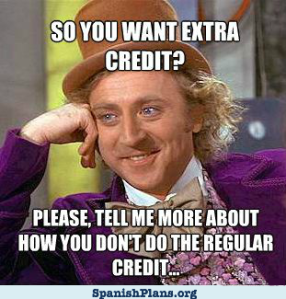 TexQuest resources help students avoid plagiarism. Most articles have the MLA citation printed at the bottom. In addition, the databases have citation tools that allow students to import citations into EasyBib. 9. TexQuest databases allow students to save their work all in one place. Students have the option to save their resources in folders or to download, print, or email them. When students move from database to database, their saved resources follow them! 10. One of the coolest things about many of the databases is the ability to do a term cluster search. For example, if you search To Kill a Mockingbird, you will see the results in a clustered circle with clickable subtopics like civil rights, Boo Radley, Jim & Scout etc. I would love to help you implement these databases into your classroom or to make your classes a customized database scavenger hunt. Please contact me for more information or if you have any questions. Happy searching! It's that time again...the first day of school is almost here! Here are ten things that might help you the first day of class. 1. Namez Ever look at your roll sheet and wonder how to pronounce someone's name? Put their name into Namez and they will take the guesswork out of it. I would love to hear about it if any of you use it. I have not tried this one before. You can also record how to say your name into Namez. 2. How Do You Play... Looking for a great way to break the ice the first day? Check out How Do You Play for great name games and icebreaker activities. 3. First Day of School/Class Rule Memes Memes are very popular with students and a great way to grab their attention. Check out these memes related to classroom behavior and first day questions. 4. Meme Maker In case you want to get crazy and make your own meme. I just made this one! 5. Resources for Sending Group Texts Communication with students and parents is important and you will most likely want to get this set up as soon as possible. Most teachers here use Remind 101 but there are several options available. 7. Said No Teacher Ever- In case you haven't seen it...this is a must watch for all teachers. 8. 5 Ways to Use Memes to Connect with Students Another great resource that will help you incorporate memes into your classroom. 9. Post It Game Here are instructions on how to play a great first day game that encourages student feedback and student/teacher interaction. 10. Big Huge Labs Make posters, trading cards, maps, magazine covers etc. to decorate your room or for class projects. I just made this! It is that time of the year again...time to say goodbye to grades, students, and co-workers for a few weeks. I know we are all sad and will be eager to return in August so here are a few things to help you cope with the days ahead. 1. Matrix Airfare Search- If you are flying anywhere over the summer this can be a really useful tool to help you find the best price on your flight. Make sure you check the filters and look at the times closely because if you do not narrow it down it will yield results with super long layovers. We used this to book flights for my family vacation this summer and got a great deal! 2. Shutterfly- You will be having a lot of fun this summer and making many great memories! Hopefully you will also be taking a lot of photos. My favorite digital photo store is Shutterfly. I order all of my pictures from them. They have great prices and hundreds of great products. If you order from them once, they will inundate you with free products and coupons. If you know me, you know I love coupons and I love getting pictures of my son. 3. BookBub- Hopefully your relaxing summer plans include reading a good book or two. If you sign up for BookBub, you will get a daily email that gives you updates on all of the cheap and free books in your favorite literary genres that you can access from Amazon, Barnes & Noble, Apple, or Google. I have gotten a ton of free books for myself and my baby that I would never have known about if not for BookBub. 4. MackinVia- If you want access to even more FREE books, don't forget about our very own e-book platform that we house here at KHS! Your username is the first part of your email address and your password is your date of birth. We have over 100 e-books that you can access for free and several audio books that you can download and listen to on your mobile device. If you have any problems with logging on, shoot me an email this summer and I will fix it for you. 5. Kilgore Public Library- And last but not least...another shameless reading plug...don't forget about the Kilgore Public Library. They have a lot of great things going on for kids this summer and they have many digital resources for their patrons including thousands of e-books and audiobooks. You don't have to live in Kilgore to get a library card so be sure and check them out during your time off. As Spring Break approaches you will find more and more students will be gone from class, testing approaches and the end of the school year will be here before you know it. Why not mix things up a bit? Do you need to test the knowledge of your students? Do you need to review the material that you have covered? Do it using these web tools that will help to make it more fun and make grading easier! 1. Image Quiz- This site uses images to help students learn. Search their site for pre-made quizzes that are tied to certain subject areas such as foreign language, history, math etc. You can also make your own quizzes based on an image. This is great for maps, pictures etc. 2. Kahoot- Use this site to give your kids multimedia assessments. You can add in videos, pictures and more! It even has theme music to help add to the trivia like atmosphere. This is web based and students can respond with any device connected to the web. Many of you used this application during our KHS iPad training. 3. EduCanon- eduCanon is an online learning environment to build and share interactive video lessons. Questions can be added and the lessons can be divided into smaller segments. Student responses are easy to see and monitor. 4. Metta- Metta allows users to create quick movies out of videos, pictures, texts and sounds that are already on the web or your own material that you upload. Teachers can then insert polls, statistics, and quizzes into their Metta creations. 5. Mentimeter- For a quicker assessment, you can use Mentimeter. This is very similar to Poll Everywhere and allows users to quickly submit answers to one question or a series of questions and will output graph-like results for the teacher. This would be a great bell ringer or end of class exit ticket. 6. Flubaroo- A script that can be added to your Google forms for easy automatic grading. 7. Doctopus- Another script that can be used to easily grade a Google form assessment and as a tool for differentiating, grouping, distributing and managing student projects in Google Drive. 8. Goobric- Goobric allows for rubric-based grading of Google Drive resources (Documents, Presentations, Spreadsheets, Folders, etc.) and --currently-- only works with resources created via the Doctopus Script for teachers. 9. Infuse Learning- Infuse Learning is a free student response system that works with any Internet-connected device including iPads and Android tablets. Infuse Learning allows teachers to push questions, prompts, and quizzes out to students' devices in private virtual classrooms. In an Infuse Learning room a teacher can give students a wide variety of formats in which to respond to a question or prompt. Students can reply to prompts and questions in standard multiple choice, true/false, and short answer formats. Infuse Learning also offers an option for students to reply by creating drawings or diagrams on their iPads, Android tablets, or on their laptops. It offers a couple of helpful accessibility options including support for multiple languages. Teachers can choose to enable translation for questions, prompts, and answer choices that students see on their devices. Another accessibility feature is audio narration for questions, prompts, and answer choices. To hear the audio students simply click on the audio button when viewing a question. Your questions can include images. As the new year begins we are focusing on vocabulary, organizing our thoughts, and writing at KHS. Below are 10 web resources that focus on these skills. If you are tired of doing the same thing over and over you know your students are tired of it too! If you are ready to try something new, check out the links below. Flashcard Stash - Flashcard Stash is built on top of a dictionary, so you can lookup words above and save them. Click on functions in the top right of each vocabulary flashcard for example sentences, synonyms, and audio. Highlighted words can also be clicked for an immediate definition. Word Hippo- Find similar or opposite words, word meanings, rhyming words, example sentences, word forms and pronunciations at Word Hippo. Quicklyst - Helps users to take beautiful outline style notes that help to structure one's ideas. You can even put in mathematical equations. Can be used with devices. New Outline Maker- This is a very basic and very linear outline tool. Users fill in title, thesis, subtopic, point, and supporting evidence blanks to create an outline in minutes. Visuwords- Online Graphical Dictionary that allows users to look up words to find their meanings and associations with other words and concepts. Produces diagrams reminiscent of a neural net and shows how words associate. Worknik- This is a very detailed online dictionary. Not only does it give definitions, but it basically tells you everything you would ever want to know about a particular word. TeachHub Writing Prompts- Explore hundreds of video topics that will inspire your students to think critically and write with skill. Read Write Think Interactive Student Plot Diagram - The Plot Diagram is an organizational tool focusing on a pyramid or triangular shape, which is used to map the events in a story. This mapping of plot structure allows readers and writers to visualize the key features of stories. ABC's of the Writing Process- This site provides dozens of links to resource that will help you teach the writing process. Some are very simple but can be adapted to suit your needs. Journal Writing- Basic ideas to help out with class journal writing. 10 Places to Go to Learn Something New! As the semester winds down you may be thinking about your lesson plans for 2014. Do you want to add some pizzazz to your lessons? Do you want to try something new? Check out the links below when you get a chance. Cool Tools for Schools- This site has all the tools you will ever need for great classroom projects including resources for music, audio, videos, presentations, collaboration, mapping, graphing and more! Silvia Rosenthal Tolisano's Langwitches Blog - Try this site for more information on 21st century learning, digital learning, global education, blogging in the classroom, using iPads in the classroom, digital story telling and more! Cool Cat Teacher Blog- Try to this site for professional development, teaching, leadership, productivity and technology ideas. This blogger strives to create inspirational, innovative content that helps teachers stay motivated. I Learn Technology EduBlog - Check out this blog for the latest and greatest technology resources for your students. This blogger also posts cool techie giveaways from time to time. Teacher Tap - Technology tutorials for teachers. Tildee- Create your own tutorials for students or view other's tutorials on just about anything. Flipped Learning- Learn about this new innovative way that teachers are changing their classroom dynamic. Annenberg Learner - Teacher resources and professional development webinars for the arts, social studies, language arts, math and science. Teacher Oz- Resources and links searchable by subject area. Education World - The educator's best friend--includes lesson plans, professional development, technology, collaboration ideas and more!